This quote is from a friend who isn’t really interested in cars – but has a professionally trained eye and lots of practical experience with equilibrated color combinations. When we met a couple of days after posting the preview shot on Facebook, she told me that she loves how perfect the color and style of the car correspond with the background. The way she spoke about her impressions of the picture catapulted me back to that very hot day in 2014 when I portrayed Stefans’ Volvo. Daniela, this article is dedicated to you for putting my previously unspoken feelings about these photos into words. Thank you. 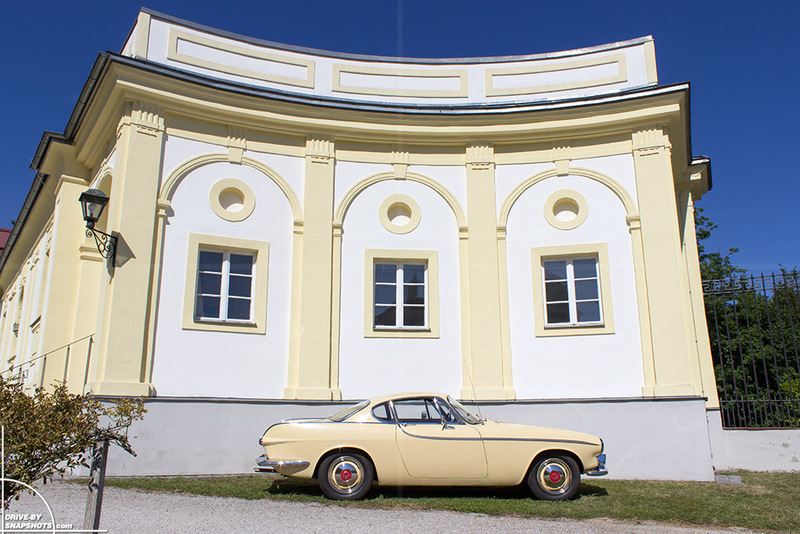 3rd Passau Classic Car Day, July 6th 2014. 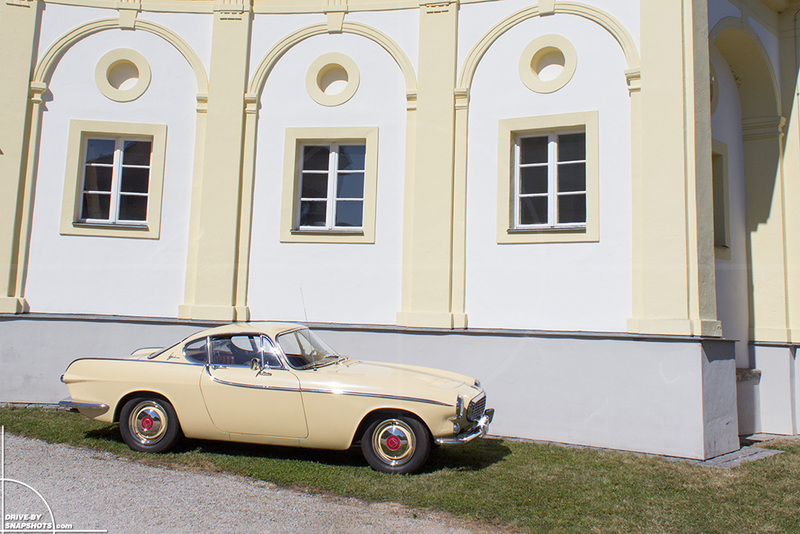 The thermometer already exceeded 30 °C at 09:20 am, when Stefan drove his 1963 Volvo P1800 to the event location: Schloss Freudenhain in Passau. Little did he know that by the end of the day his vehicle would be the star of a photo shooting on the other side of the fence. 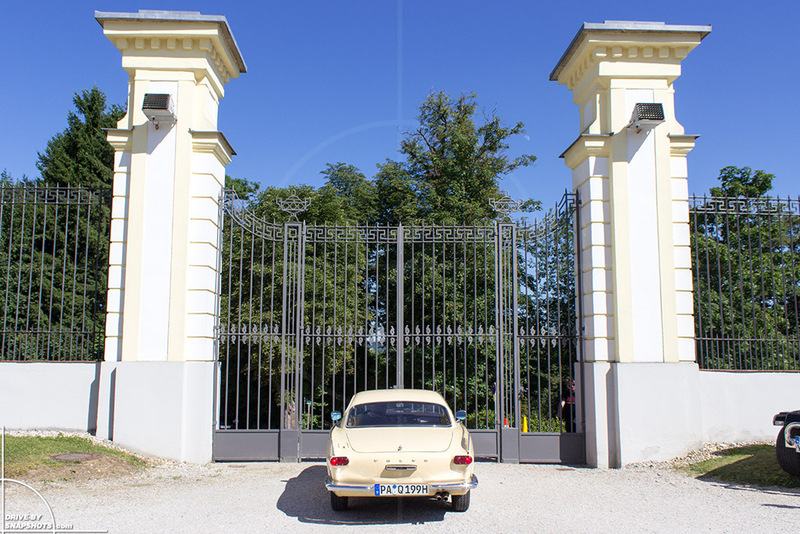 Nor did I – but seeing the P1800 drive by in front of Schloss Freudenhains’ cream colored walls in the morning sun instantly sparked my desire to portray the vehicle right there. Sometimes you only need a split second to identify a perfect match. 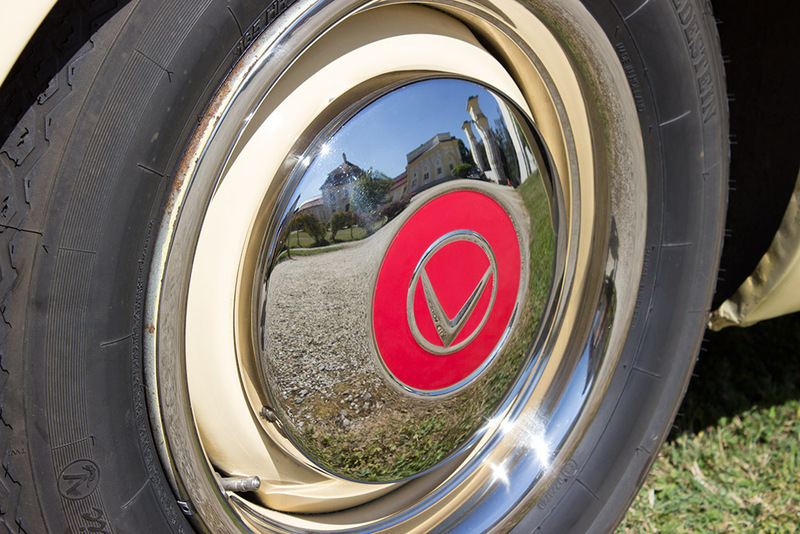 Looking at the reflection in the chromed P1800 S hubcap you can see that the courtyard is empty. After a hot day, filled with conversations about the beautiful classic cars, participants and visitors had left the venue. Before heading to a Biergarten ourselves, we used the afternoon sun to make the most of what seemed to be the natural habitat for this beauty. 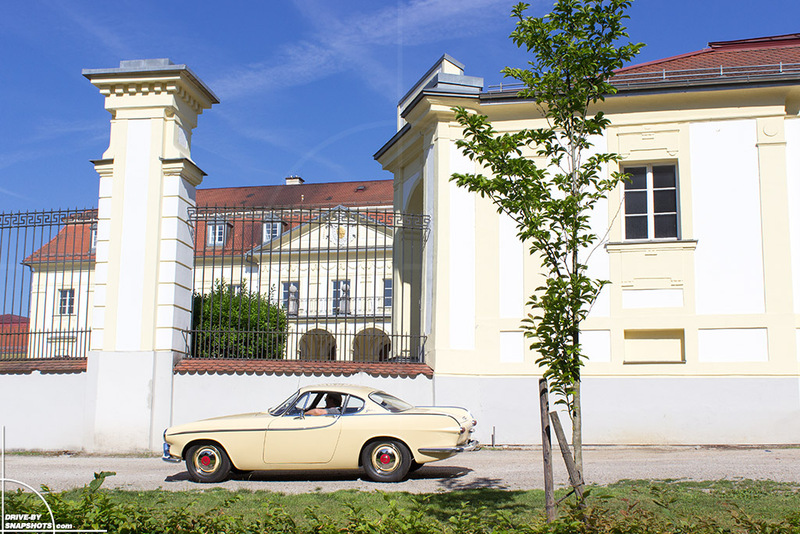 Stefan purchased the Volvo from a dealer in Munich in February 2014. The chassis number 4561 indicates that it is one of the ~6000 early models produced in the UK by Jensen. Production was eventually moved to Sweden late in 1963, apparently due to bad build quality. 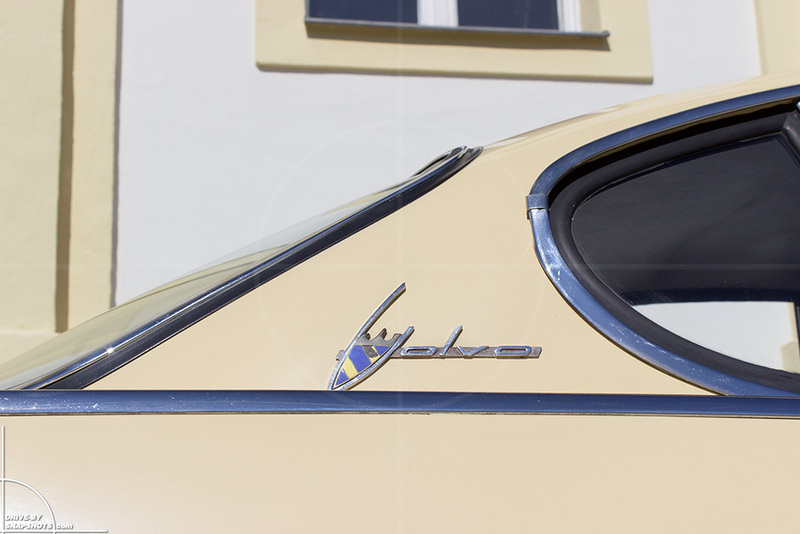 Vehicles made in Sweden are called P1800 S. For a few months, P1800 S models still featured the characteristic cow horn front bumpers of the Jensen-built models. Stefan says his P1800 was originally delivered to the USA and first registered in July 1963. 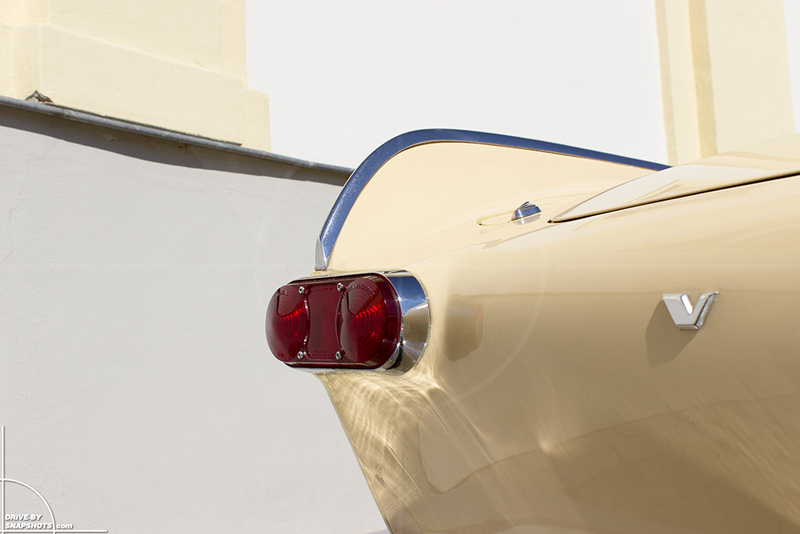 After decades of cruising the highways in the USA, it was eventually sold and shipped to Germany in 2007. The body has apparently never been welded and is in excellent condition. The vehicles 90 hp B18 engine is standard with the overdrive being a factory option. Later P1800 S models featured standard overdrive and more horsepower (96 hp). 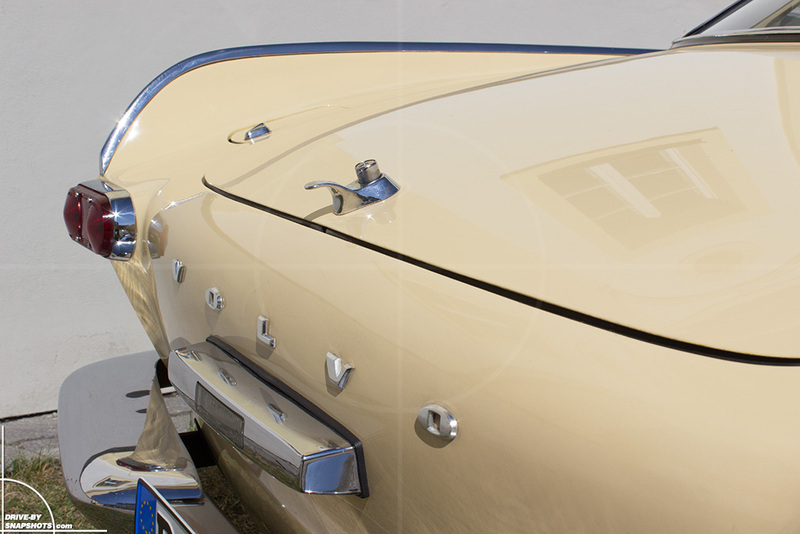 A few parts on Stefans car are not original, such as the door boards at the time of the shooting. However, he recently purchased and fitted a set of OE parts. Not too long after the photo shooting, Stefan also replaced the skinny original wheels with wider items and lower profile tires. These wheels are period-correct, because they have been available as a factory option. 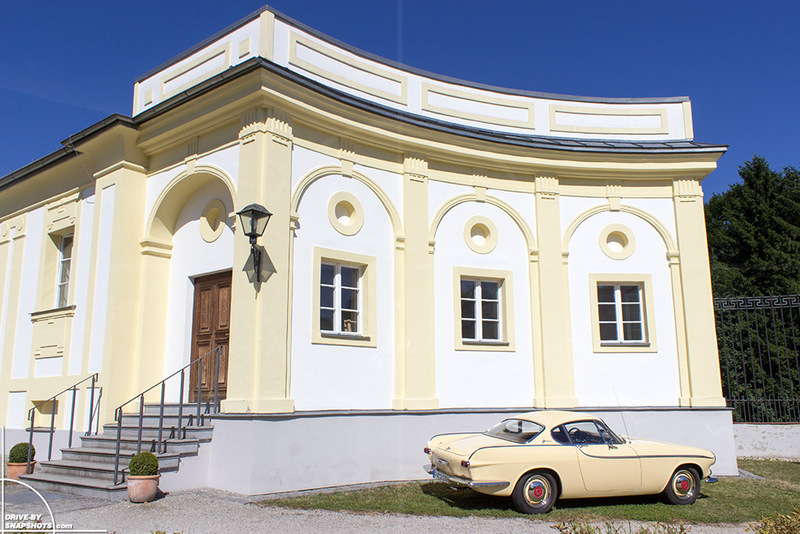 The chrome trim is in mint condition and beautifully reflect the matching colors of Schloss Freudenhain. 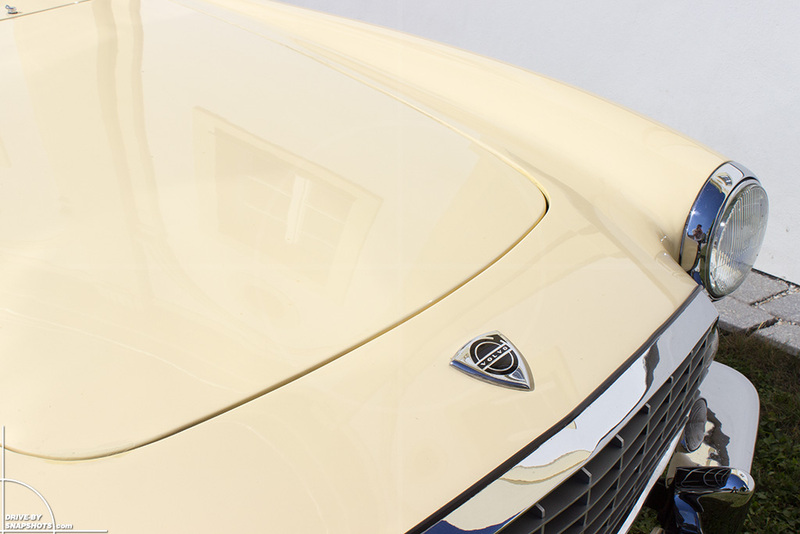 The owner loves driving the P1800 as often as possible and enjoys the fine details of its design. I want to say a big thank you for the letting me photograph your classic car and for all the information you provided for this article. Have a safe drive and enjoy it!